*This is the first of many holiday-themed blogs that will be posted over the next several weeks. 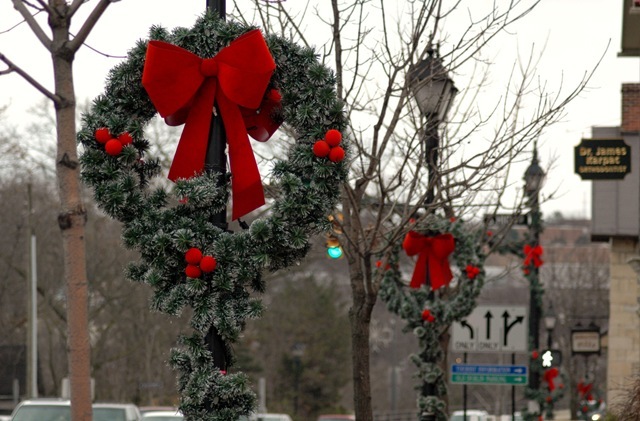 An Open House featuring local businesses kicks off Historic Dublin’s annual Holly Days on Thursday, November 15. Local shops will have extended hours (10 a.m. to 8 p.m.) and special offers. It’s the perfect time to get some holiday shopping done! Visitors can take a leisurely stroll or the trolley through the Historic District. Olde Town Ghost Tours, one of Historic Dublin’s newest attractions is hosting a special holiday tour that same evening (November 15) from 6:30 – 8:30 p.m. Hear some local history with a pinch of spookiness. The tour concludes at Biddie’s Coach House for dessert and coffee / tea. Call Becky at 614-889-6303 for reservations; cost is $16.95 per person in advance. Finally, the 12 Elves of Dublin returns this year! During this favorite festivity, Visitors hunt for holiday elves hidden on the shelves on 12 businesses in Historic Dublin in order to fill out a passport. Once the elf is located, the passport is stamped, and after all stamps are received, they are entered to win prizes. The promotion runs November 15 - December 22nd. Passports can be found at any participating Historic Dublin business. For more event information, visit historicdublin.org.